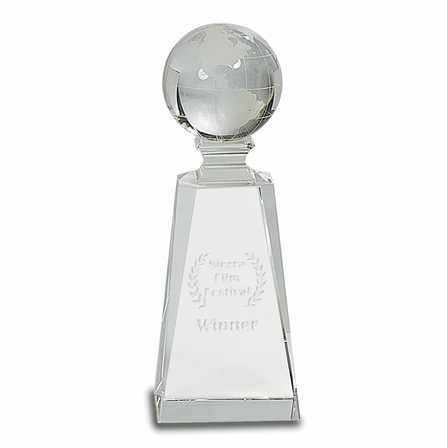 FEATURES/SPECS When you want to show someone that you find their achievement or dedication to be out of this world, soaring above and beyond the rest, this is the perfect award to convey the message! 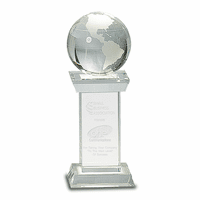 A crystal clear globe sits atop a tapered crystal pedestal base that carries a world-class engraved message to your winner or awardee. 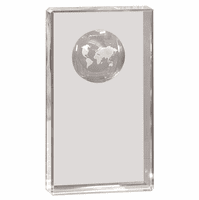 This award is 7 '', the perfect size for desk or bookshelf in the office or home, and is sure to be greatly valued and appreciated as a reminder of your acknowledgment. 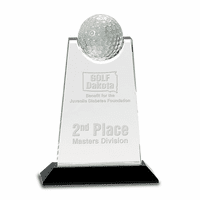 The award is perfect for a sports or scholastic team, corporate award ceremony honoring employee achievements or years of work helping your company succeed, or for a pastor or volunteer who faithfully serves the community. The award is packaged in an attractive gift box that is ready for your presentation, and all you have to do is enjoy the festivities! 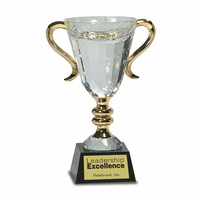 Here at the Executive Gift Shoppe we value your business, and we gladly offer our Satisfaction and Performance Guarantee!